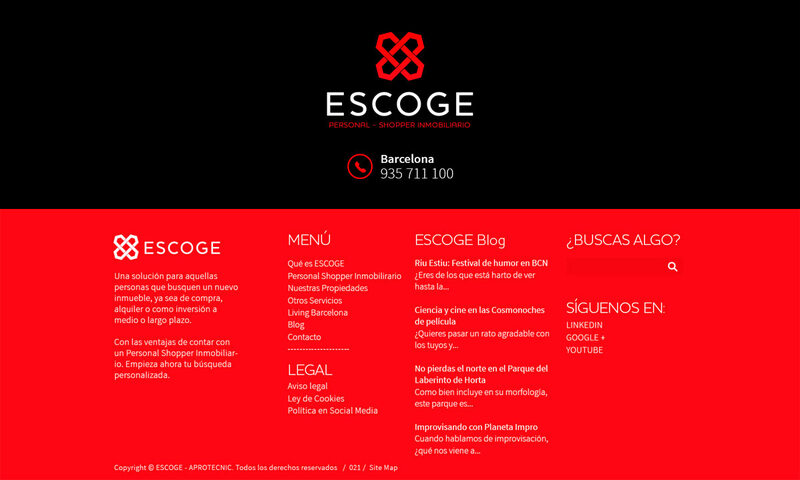 Website design and development for Escoge Barcelona. 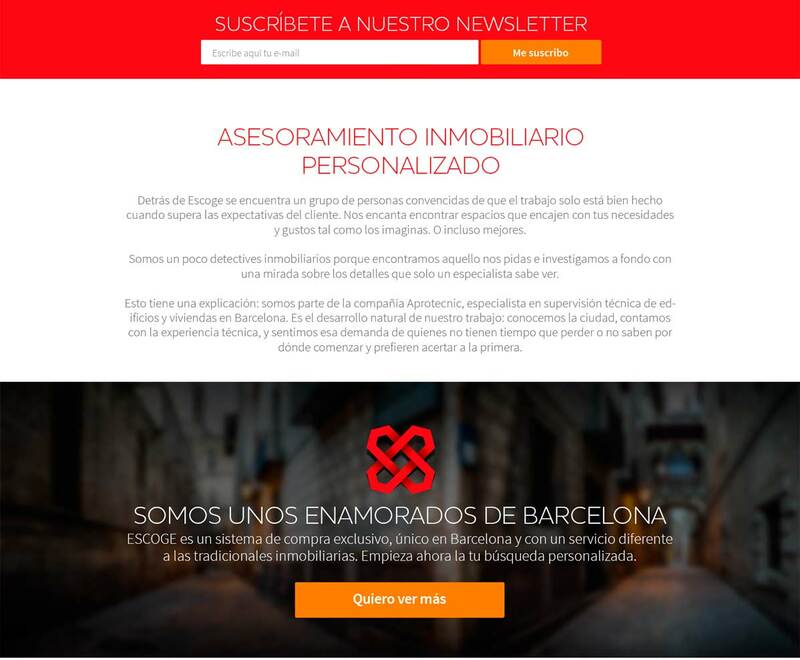 Developed in WordPress, AMP and completely responsive. 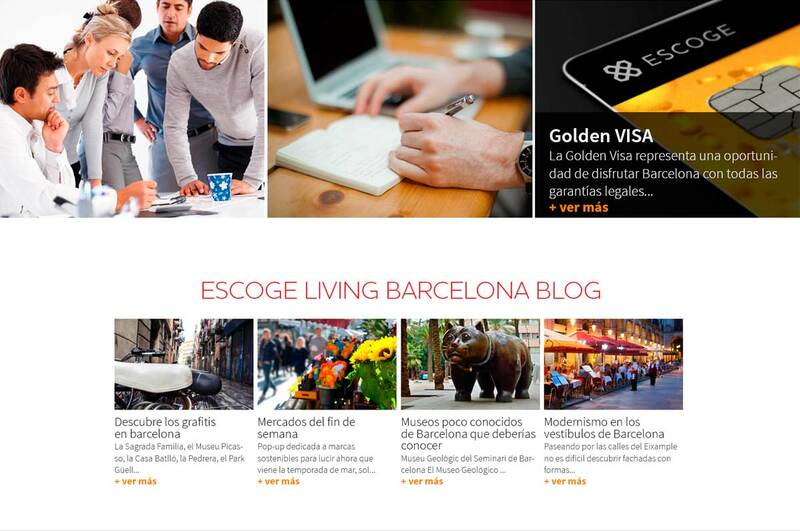 Designed to give recommendations to people looking for the perfect, Barcelona living space. The website uses lead capture forms, interactive area maps that highlight local shops and points of interest. Also, technical listings for flats with integrated blueprints and a high quality content Blog offering value to users. 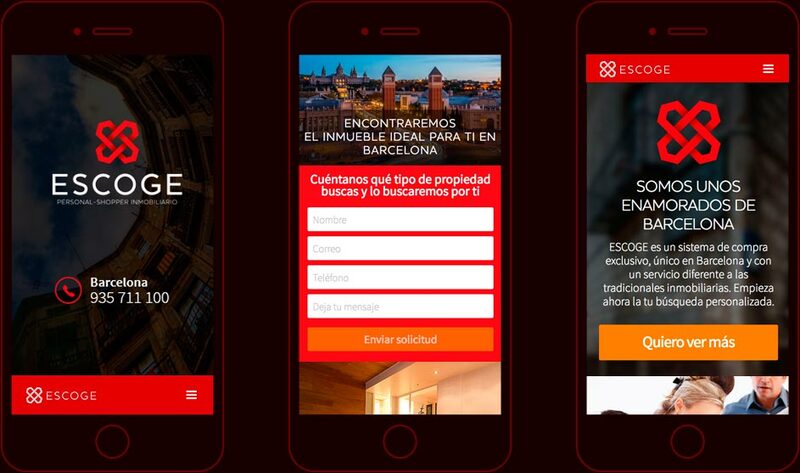 Escoge is defined as "real estate detectives, we find what you need because we are THE Barcelona specialists with an in-depth knowledge of the local area.” Escoge is part of the company Aprotecnic, specialised in technical supervision of buildings and flats in Barcelona.